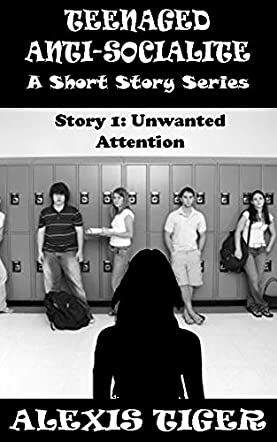 Teenaged Anti-Socialite: Unwanted Attention by Alexis Tiger is the first story in a short story series. High school student Kara Landers is an introvert and has no friends by choice. She finds social interaction pointless and tries to avoid it at all costs. Unfortunately for Kara, Steve, a popular boy at school, has set his sights on her. Steve is used to being admired by the girls at school and finds it hard to accept that Kara may not be interested in him. Kara rejects him and, in doing so, catches the attention of Oliver who tries to become friends with Kara. Kara does her best to avoid Oliver, but she finds herself in a situation where she needs help, and is unable to get hold of her mother or brother. Will Kara allow Oliver to help her? Short and easy to read, Teenaged Anti-Socialite is well suited to a young adult audience. The themes of fitting in, understanding who you are and what you like are problems that teenagers through the ages have struggled with daily. I enjoyed Kara’s quick wit and sharp tongue; her strong female character evident in her sassy comebacks made me like her instantly. She’s definitely the girl I’d choose to have as a friend if I were still in high school. With this first short story, Alexis Tiger has successfully set the tone for an angst-filled teenage series featuring romance, humour and intrigue. I’m looking forward to finding out what happens next with Kara, Oliver and Steve. I received a copy of this book for a fair and honest review. This was a short and quick read. Kara gets the attention of Steve that is unwanted and she always gets the attention of her chemistry partner. Steve does not back off and Oliver just adds to the situation that kind of scares Kara. I am not going to tell you how it turns out, but was a nice short story that is the first part of a series of short stories.